High knitted wide, short pull-over 'Plush'. Knitted stylised flower patterns in black on grey. Round neck, with trims and decorative, velvet button at front. Long sleeves with long, long, ribbed, black cuffs. At rear black crystal at bottom of collar. Wide 'V' inset in grey wit narrow ribbed hem. 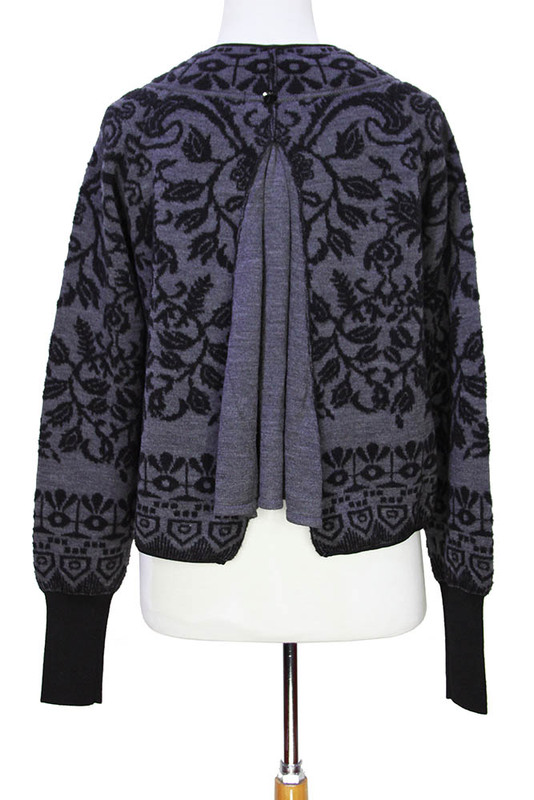 A beautiful piece of knitwear with lots of elegant detail.